The Committee on the Rights of Persons with Disabilities is the body of independent experts which monitors implementation of the Convention by the States Parties. The Committee shall meet in Geneva and normally hold two or three sessions per year. The Committee will comprise 12 independent experts following the entry into force of the Convention. Following an additional sixty ratifications or accessions to the Convention, the membership of the Committee shall increase by six, to 18 independent experts. 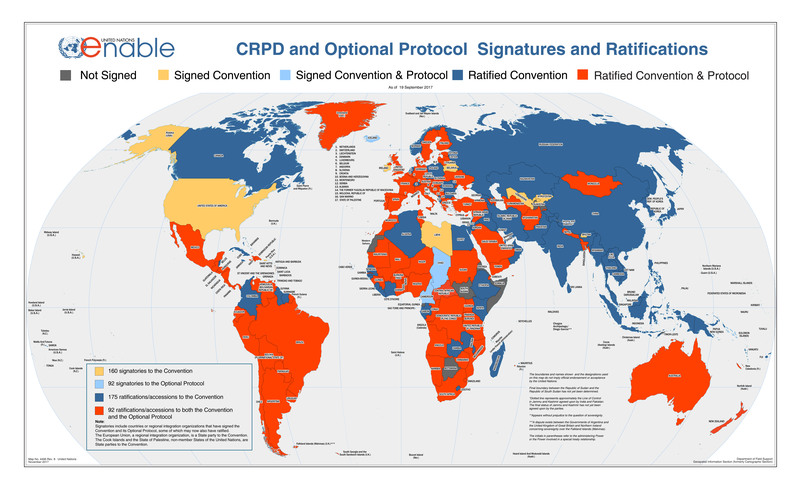 Countries who have become party to the Convention (States parties) are obligated to submit regular reports to the Committee on how the rights of the Convention are implemented. During its sessions, the Committee considers the reports of States parties and addresses its concerns and recommendations to the State party concerned in the form of concluding observations. States parties must report initially within two years of accepting the Convention and thereafter every four years. The Optional Protocol to the Convention gives the Committee competence to examine individual complaints with regard to alleged violations of the Convention by States parties to the Optional Protocol or to undertake inquiries in the case of reliable evidence of grave and systematic violations of the Convention. In addition, and in keeping with the practice of other human rights treaty bodies, the Committee may also issue General Comments elaborating the meaning of the provisions of the Convention or cross-cutting themes. The Committee may also hold Days of General Discussion with States, civil society, United Nations entities and other international organizations.